Building Momentum: For the third time this season, Alex Bowman and the No. 7 Tommy Baldwin Racing team finished in the top-20. Top-20s at notably difficult tracks including Bristol, Talladega and now Dover show the progress the TBR team is making. Of note: two of these top-20 finishes have been in unsponsored cars. 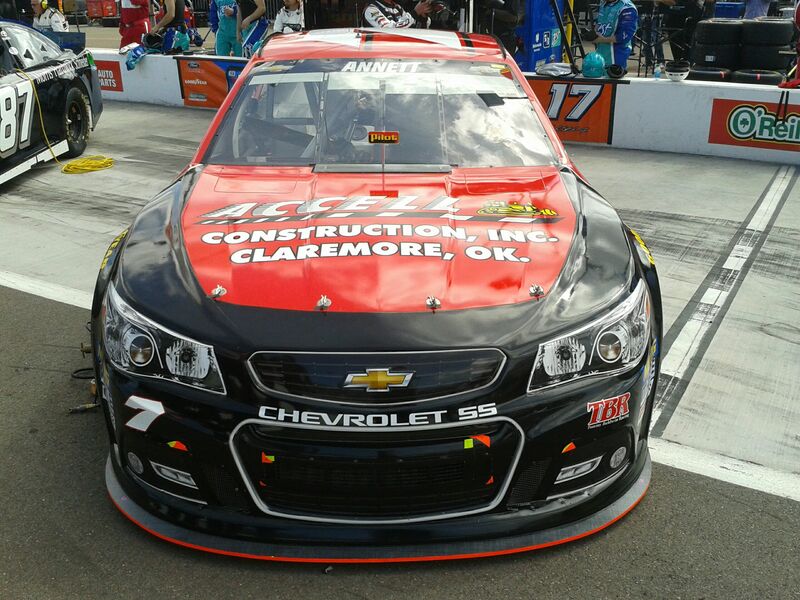 Accelerating Forward: Accell Construction returns for their second race of the season with Alex Bowman and the No.7 Chevrolet, previously serving as primary sponsor at Texas Motor Speedway in early April. Following two top-20 finishes in the last three races, the momentum favors Bowman and team heading to Kansas. Welcome back, Accell Construction: Oklahoma based Accell Construction returns to Tommy Baldwin Racing for a fifth season. Aboard the No. 7 Chevrolet at Texas this weekend, the familiar red paint scheme will also be seen at both Kansas Speedway races this season. Huntersville, NC (April 8, 2015) - Heading into the Duck Commander 500 race weekend at Texas Motor Speedway, Tommy Baldwin Racing is welcoming back a long-time sponsor for the 2015 NASCAR Sprint Cup season. 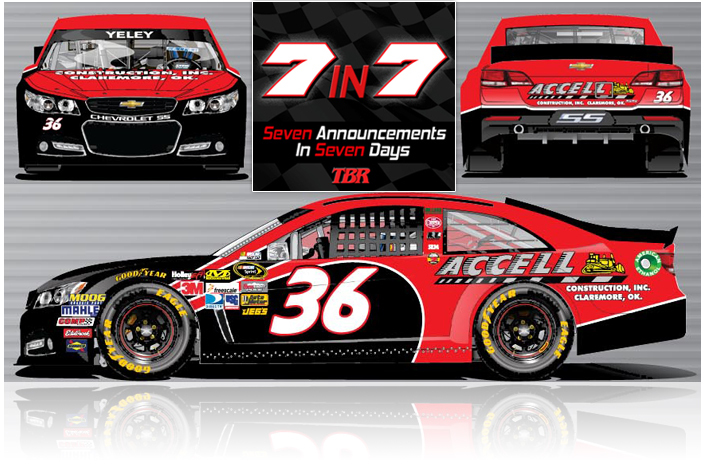 Accell Construction returns to serve as primary sponsor on the No. 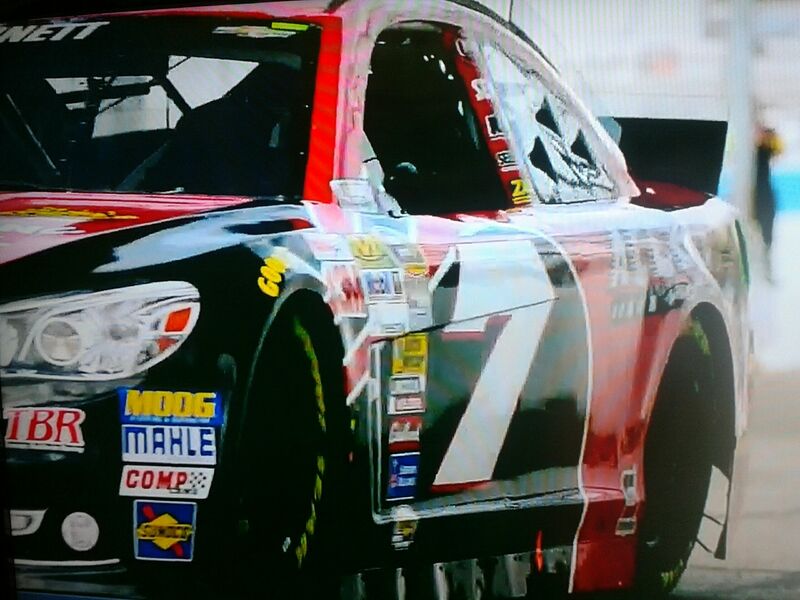 7 Chevrolet SS at Texas as well as both races at Kansas Motor Speedway. The Oklahoma-based company will continue its partnership with TBR for the fifth consecutive season. Huntersville, NC (November 12, 2014) - For just the second time this season, Tommy Baldwin Racing will field an entry in the NASCAR Nationwide Series. Ryan Preece will jump into the No. 36 Chevrolet with sponsorship from Accell Construction. AVONDALE, Ariz. (November 10, 2014) - NASCAR Sprint Cup Series rookie Michael Annett finished 26th, despite breaking a drive flange with six laps to go in Sunday's race at Phoenix International Raceway. 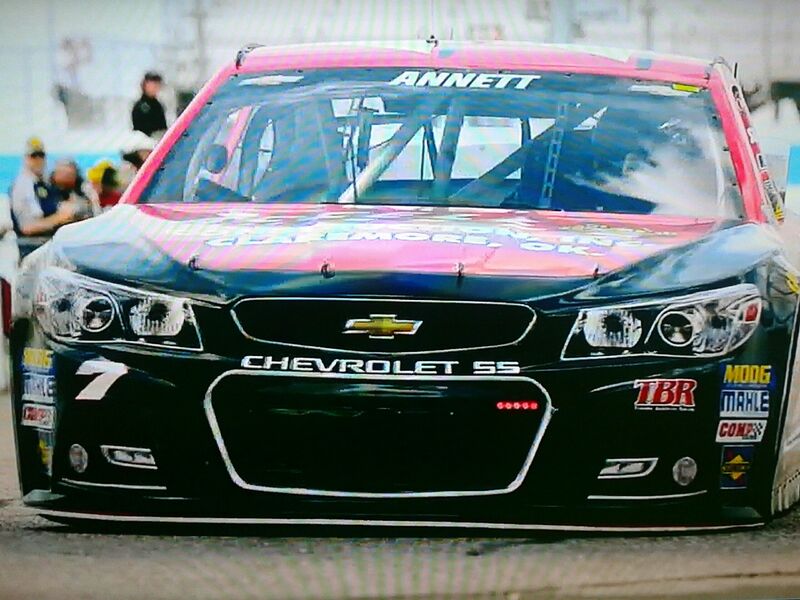 MOORESVILLE, N.C. (October 1, 2014) - NASCAR Sprint Cup Series rookie Michael Annett and his No. 7 Accell Construction Chevrolet SS team will compete this weekend at Phoenix International Raceway, aiming to turn two consecutive top-25 finishes into three in a row. AAA Texas 500 (November 2, 2014) - The final countdown is on, just three races remain in the 2014 NASCAR Sprint Cup Series. Heading west to Texas Motor Speedway's 1.5 mile quad oval, Reed Sorenson and the No. 36 team are ready to end the season on a high note. Accell Construction joins the No. 36 team this weekend at Texas Motor Speedway. Huntersville, NC (July 24, 2014) - Heading to one of the most prestigious events in auto racing, Tommy Baldwin Racing will field a three car team at Indianapolis Motor Speedway. Bobby Labonte joins Michael Annett and Reed Sorenson for the Crown Royal Presents the John Wayne Walding 400 at the Brickyard. MOORESVILLE, N.C. (May 12, 2014) - Michael Annett and his Accell Construction Chevrolet SS team finished 25th in Saturday night's NASCAR Sprint Cup Series race at Kansas Speedway. MOORESVILLE, N.C. (May 7, 2014) - Michael Annett and the No. 7 Accell Construction Chevrolet SS team travel to Kansas City this weekend for the 11th race on the 2014 NASCAR Sprint Cup Series schedule at the often-wild Kansas Speedway. MOORESVILLE, N.C. (April 3, 2014) - Michael Annett and the No. 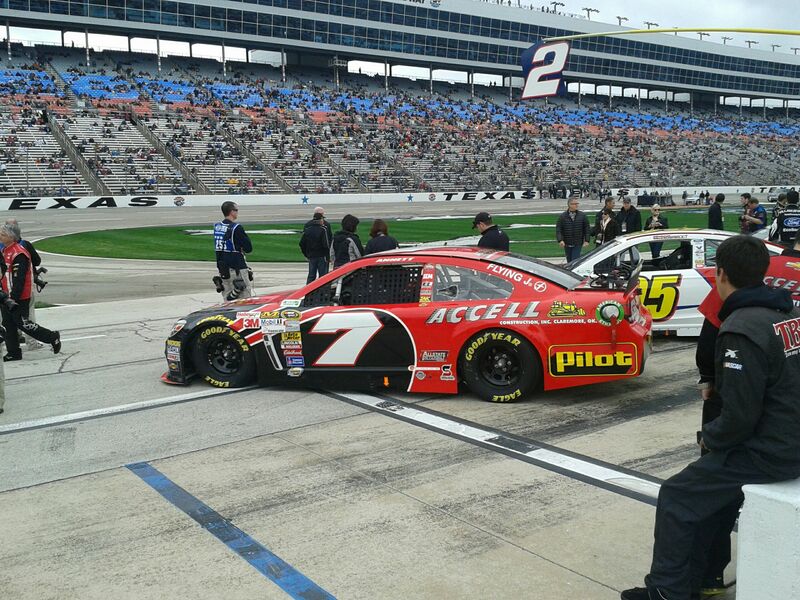 7 Accell Construction Chevrolet SS race team head west this weekend to Texas Motor Speedway, near Fort Worth, for the second intermediate track race, and seventh event overall, of the 2014 NASCAR Sprint Cup Series season. MOORESVILLE, N.C. (February 26, 2014) - Michael Annett and the No. 7 Accell Construction Chevrolet SS race team descend upon the desert this weekend, traveling to Phoenix International Raceway for the second race on the 2014 NASCAR Sprint Cup Series schedule. Mooresville, NC (February 7 , 2014) - Accell Construction returns to Tommy Baldwin Racing (TBR) and welcomes a new experience as a primary sponsor of the of the No. 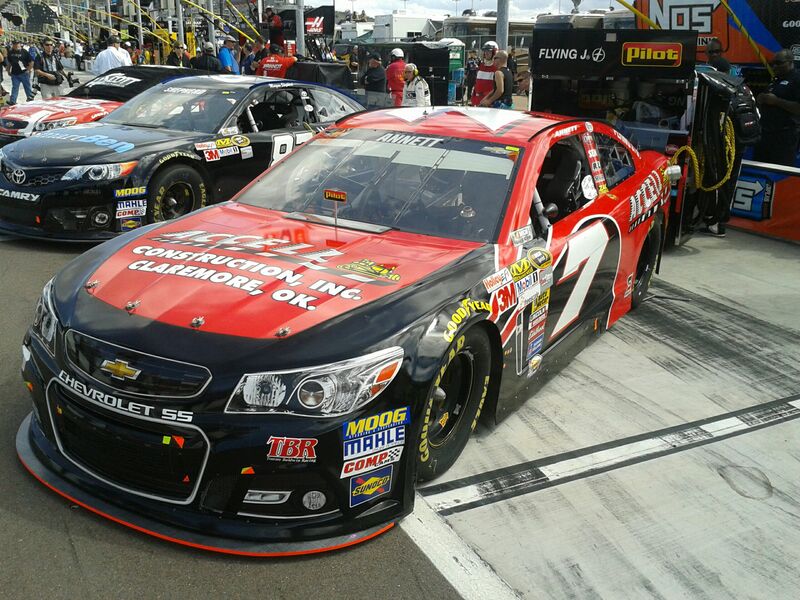 7 Chevrolet SS with Michael Annett behind the wheel for six NASCAR Sprint Cup Series events. 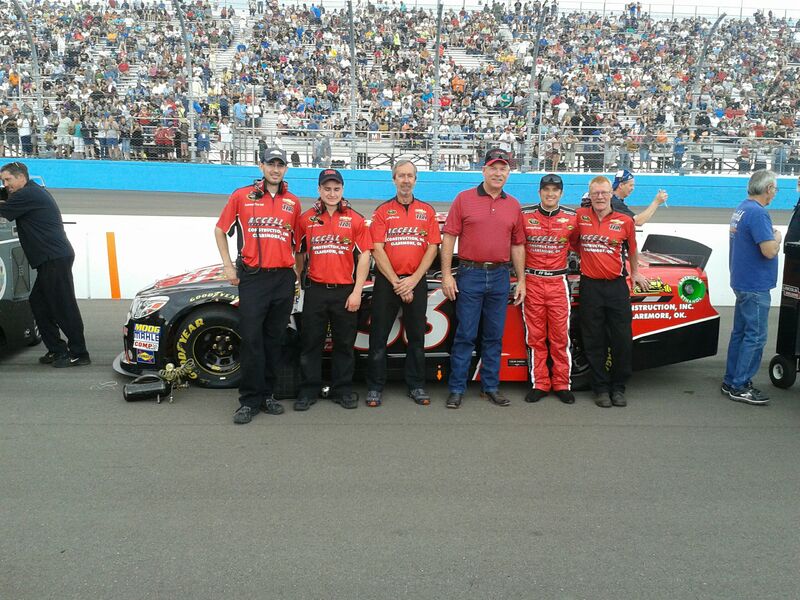 The Oklahoma-based company will continue its partnership with TBR for the fourth consecutive season commencing at Phoenix International Raceway on March 2nd, 2014. Mooresville, NC (November 7, 2013): With just two races remaining in the 2013 season, Tommy Baldwin Racing rolls in to Phoenix International Raceway. Heading to his home track, driver JJ Yeley is sporting the familiar red and black paint scheme of Accell Construction as they return to the No. 36 Chevrolet for their final race of the season. Mooresville, NC (October 31, 2013): Three races remain in the 2013 Sprint Cup Series season and this weekend, Tommy Baldwin Racing is packing up and heading to the circus, the Wild Asphalt Circus at Texas Motor Speedway. With just seven races remaining in the 2013 Sprint Cup season, JJ Yeley and the No. 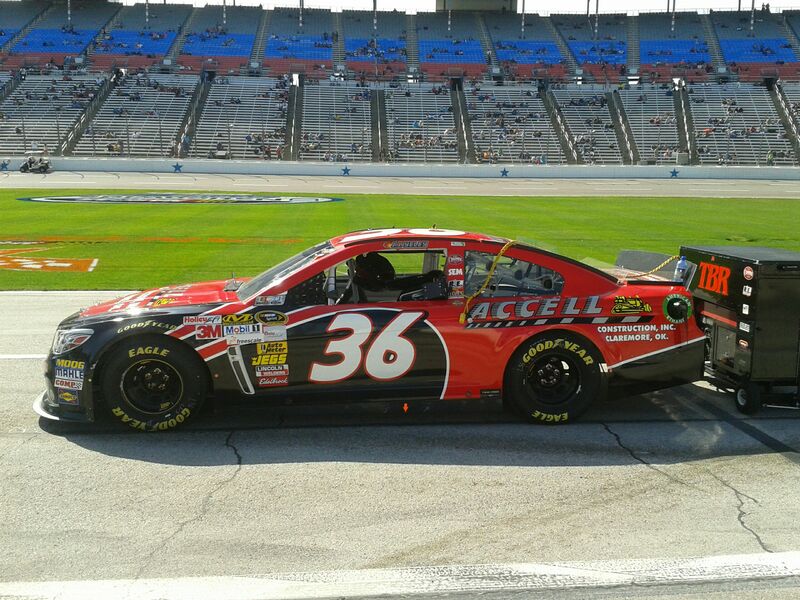 36 Accell Construction team head to Kansas Speedway for the Hollywood Casino 400. Point Standing:: 26th, 107 points behind Dale Earnhardt Jr.
Mooresville, NC (January 30, 2013) - Accell Construction will be back with Tommy Baldwin Racing (TBR) and the No. 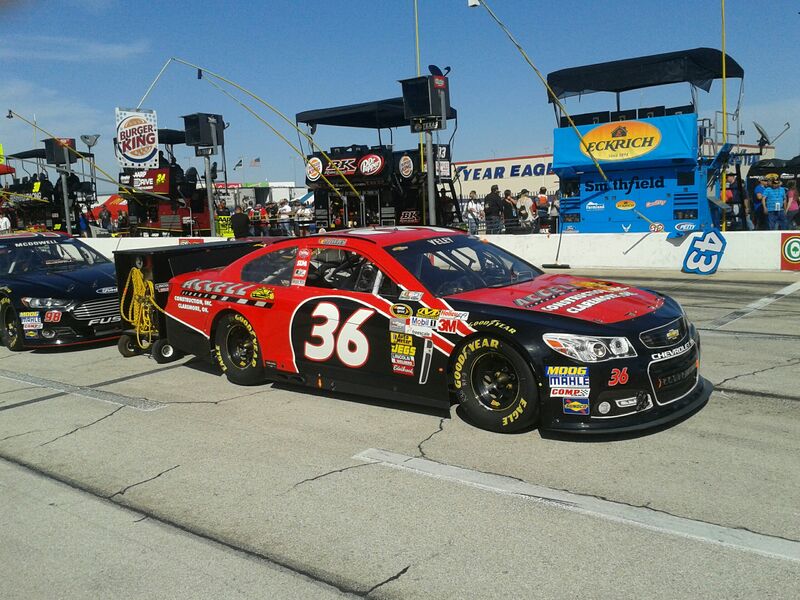 36 Chevrolet SS of JJ Yeley for six races in 2013. This marks the third year that the Oklahoma-based company will partner with TBR, serving as a primary sponsor at both events at Phoenix International Raceway, Texas Motor Speedway, and Kansas Speedway. 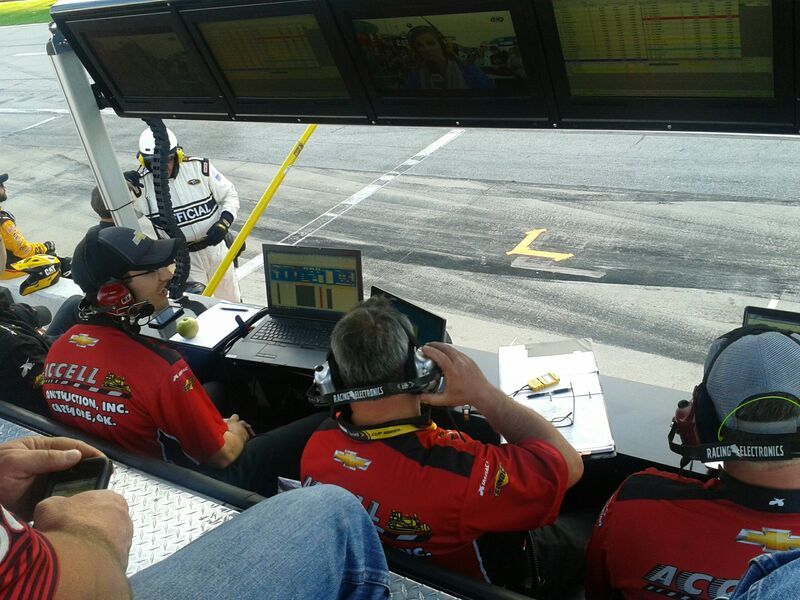 "Everybody here at TBR is excited to have Accell back for the third year in a row," notes team owner Tommy Baldwin, Jr. "Accell has done a great job to prove that business gets done in the NASCAR garage." "Tommy and his crew have really stepped up their operation for 2013 and Accell is pleased to be a partner," said President of Accell Construction, Steve Todhunter. "We welcome and wish the best for our new driver JJ Yeley." KANSAS CITY, KAN. (April 23, 2012) – Tommy Baldwin Racing (TBR) salvaged a decent points day after the transmission stuck on David Reutimann’s No. 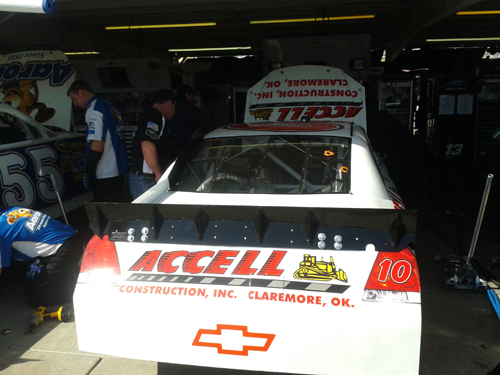 10 Accell Construction Chevrolet at Kansas Speedway. Reutimann started the STP 400 from the 16th position, his best this season, and looked to on point for a top-20 finish before a transmission problem relegated the team to a 29th-place finish. The team held onto the 34th position in the NASCAR Sprint Cup Series Owner Points. Tommy Baldwin Racing (TBR) has both NASCAR Sprint Cup Series (NSCS) cars locked into the Goody’s Fast Relief 500 as the series switches to 2012 owner points this weekend. David Reutimann will wheel the No. 10 Accell Construction Chevrolet. Dave Blaney will return to the No. 36 Ollie’s Bargain Outlet Chevrolet to run 500 laps at Martinsville Speedway. MOORESVILLE, N.C. (March 28, 2012) – Accell Construction made a three-race commitment with Tommy Baldwin Racing adding to the Oklahoma-based company’s NASCAR Sprint Cup Series (NSCS) program. David Reutimann will pilot the No. 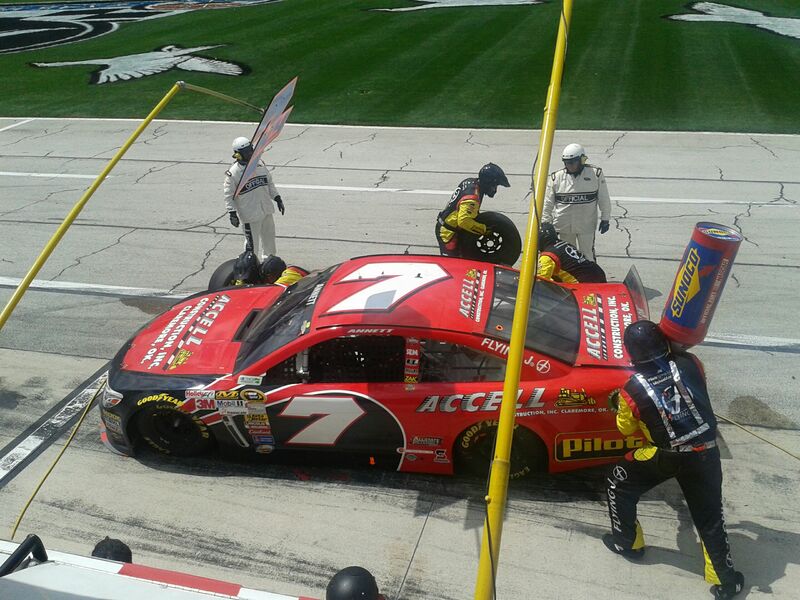 10 Accell Construction Chevrolet at Martinsville Speedway, Texas Motor Speedway and Kansas Speedway. FONTANA, CALIF. (March 26, 2012) – Tommy Baldwin Racing (TBR) locked both cars in the top-35 in NASCAR Sprint Cup Series (NSCS) Owner Points with the team’s finishes at Auto Club Speedway. Reutimann started 18th and made adjustments to the No. 10 Accell Construction Chevrolet to finish 27th in the rain-shortened race. Blaney started 34th in the No. 36 Chevrolet and worked on the handling of TBR’s first in-house chassis to finish in 33rd place. 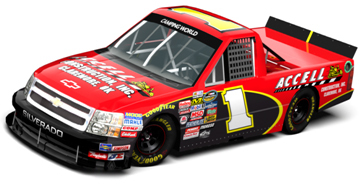 MOORESVILLE, N.C. (March 20, 2012) – Oklahoma-based Accell Construction will return to the Tommy Baldwin Racing (TBR) No. 10 Chevrolet this weekend at Auto Club Speedway. David Reutimann will drive the No. 10 Accell Construction Chevrolet in the Auto Club 400 Sunday, March 25th. Tommy Baldwin Racing (TBR) looks to find lady luck in Vegas this weekend. Dave Blaney will attempt to qualify the No. 36 Ollie’s Bargain Outlet Chevrolet at Las Vegas Motor Speedway (LVMS). David Reutimann looks for a solid finish in the Kobalt Tools 400 Sunday, March 11th to propel the No. 10 Accell Construction Chevrolet into the top-35 in 2012 NASCAR Sprint Cup Series (NSCS) Owner Points. MOORESVILLE, N.C. (March 6, 2012) – Accell Construction will return to the No. 10 Accell Construction Chevrolet at Las Vegas Motor Speedway (LVMS). David Reutimann will pilot the Tommy Baldwin Racing (TBR) entry in the Kobalt Tools 400 Sunday, March 11th. AVONDALE, ARIZ. (March 5, 2012) – Tommy Baldwin Racing looked to ride the momentum of a solid finish and good exposure in Daytona with two entries this weekend at Phoenix International Raceway. David Reutimann made his team debut in the No. 10 Accell Construction Chevrolet. MOORESVILLE, N.C. (March 1, 2012) – Accell Construction, a 2011 Tommy Baldwin Racing (TBR) sponsor, will return to the team in support of David Reutimann’s TBR debut. Reutimann will pilot the No. 10 Accell Construction Chevrolet for the Subway Fresh Fit 500 Sunday, March 3. PHOENIX, ARIZONA. – Ryan Blaney started fourth in the NASCAR K&N Pro Series West (NKNPSW) race Saturday night at Phoenix International Raceway (PIR). He fell back to 11th in the first half of the 125-mile event and struggled with a tight-handling No. 11 Accell Construction/Heavy Duty/Ruston Transport Chevrolet. MOORESVILLE, N.C. (July 12, 2011) – Accell Construction, Inc. will sponsor Heinke-Baldwin Racing (HBR) No. 98 Chevrolet driven by Erick Rudolph this weekend at New Hampshire Motor Speedway (NHMS). The Oklahoma-based company will be the primary sponsor for the NASCAR Whelen Modified Tour (NWMT) F.W. Webb 100 on Saturday, July 16th. KANSAS CITY, KAN. (June 6, 2011) – Dave Blaney finished 32nd in the STP 400 at Kansas Speedway. He drove the No. 36 Accell Construction Chevrolet from the 42ndspot. Tommy Baldwin Racing (TBR) earned enough points to tie the No. 51 Chevrolet for 31st in NASCAR Sprint Cup Series (NSCS) Owner Points. Blaney is also 31st in driver points. Dave Blaney will pilot the No. 36 Accell Construction Chevrolet in the STP 400. The Tommy Baldwin Racing (TBR) team looks to continue its steady climb in the NASCAR Sprint Cup Series (NSCS) point standings with a solid finish at Kansas Speedway. Tommy Baldwin Racing (TBR) started the weekend at Texas Motor Speedway with the goal of moving into the top-35 in NASCAR Sprint Cup Series (NSCS) Owner Points. Blaney drove the No. 36 Accell Construction Chevrolet to a hard-fought 30th-place finish in the Samsung Mobile 500. The team is now 38th in NSCS Owner Points, a mere six points outside of the top-35. During the two practice sessions, the TBR team focused mainly on race trim. MOORESVILLE, N.C. (March 28, 2011) – Tommy Baldwin Racing (TBR) went into the weekend at Auto Club Speedway with one goal – to make the top-35 in NASCAR Sprint Cup Series (NSCS) Owner Points. Unfortunately, a rear-end gear failure forced the No. 36 Tommy Baldwin Racing Chevrolet to retire early. Dave Blaney finished 37th in the Auto Club 400, after starting from the 31st position. The No. 36 Tommy Baldwin Racing Chevrolet now sits 37th in the NSCS Owner Points, nine points outside of the top-35. LAS VEGAS, NEVADA (March 6, 2011) – Tommy Baldwin Racing (TBR) driver Dave Blaney drove the No. 36 Accell Construction Chevrolet to a hard-fought 34th-place finish in the Kobalt Tools 400 at Las Vegas Motor Speedway on Sunday. The TBR team now sits 38th in 2011 NASCAR Sprint Cup Series (NSCS) owner points, 13 points outside of the top-35. Following a practice incident, Tommy Baldwin Racing decided to change plans and run the complete race at Las Vegas Motor Speedway (LVMS) and start-and-park the race at Phoenix International Raceway (PIR). Dave Blaney will pilot the No. 36 Accell Construction Chevrolet for the first few laps of the Subway Fresh Fit 500 this weekend and look to race all 400 miles of the Kobalt Tools 400 next weekend. MOORESVILLE, N.C. (February 23, 2011) – Oklahoma-based Accell Construction will partner with Tommy Baldwin Racing (TBR) for the Subway Fresh Fit 500 Sunday, February 27th. Dave Blaney will pilot the No. 36 Accell Construction Chevrolet in the NASCAR Sprint Cup Series (NSCS) event at Phoenix International Raceway (PIR). Accell Construction is a full-service site civil contractor for the petroleum terminal and bulk storage industries. The Oklahoma company specializes in tank farm construction, tank foundations and other related site civil construction. The 20-year old company operates civil construction projects in numerous states across the U.S. Although this will be the first NSCS race for Accell Construction, the company partnered with teams in the NASCAR Camping World Series and ARCA Racing Series in the past. “We are proud to represent the pipeline terminal storage construction industry in the NASCAR world with this partnership,” explained owner Stephen Todhunter. TBR had a strong performance at Daytona International Speedway last weekend in the Daytona 500, as Blaney drove through the field before a late-race incident relegated the team to a 26th-place finish. Scheduled to run 16 complete races, TBR continues to seek partnerships for the entirety of the 2011 NSCS season. The No. 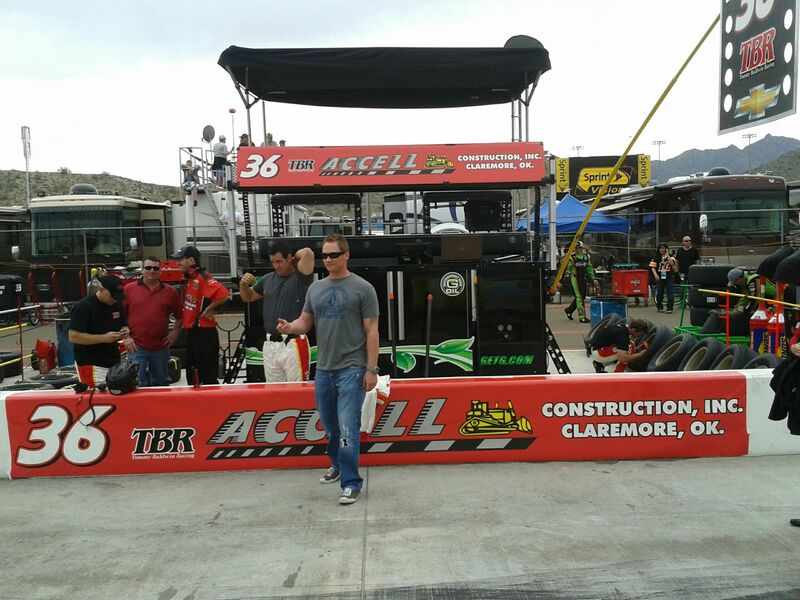 36 Accell Construction Chevrolet will hit the track for practice Friday, February 25th at 12:30 p.m. MST. The green flag will wave for the Subway Fresh Fit 500 Sunday, February 27th at 1 p.m. MST.